The Mason’s Arms on Queen Street, The Green now known as The Taps. The sketch shows the entrance to Ossett Railway Station platforms and the railway bridge to the left. 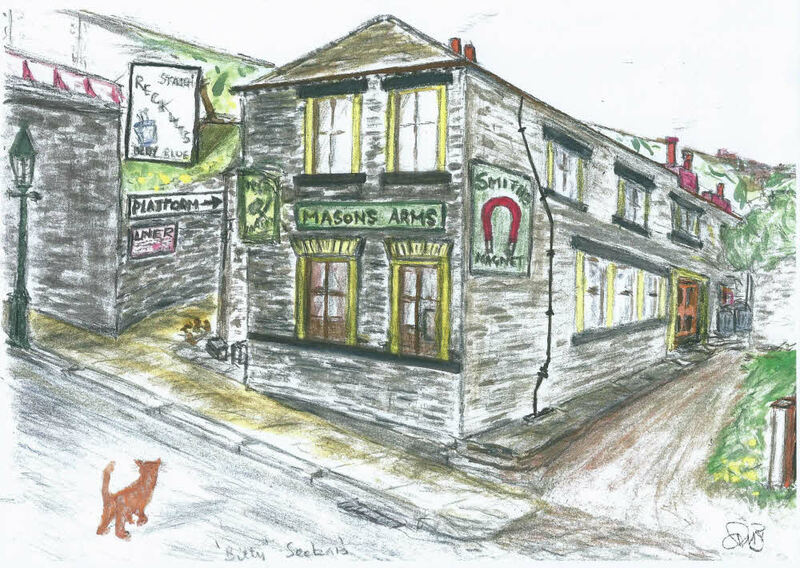 The earliest licensee of The Mason’s was recorded in 1853 when John Boothroyd, a beer retailer and stone mason, was awarded the first license. No doubt it was John’s trade that lent itself to the name of the Public House. At the time of this sketch, in the late 1950s, William “Billy” Seckar was the licensee.